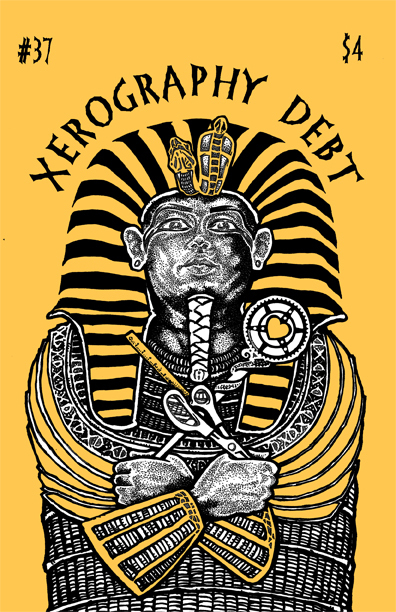 Xerography Debt is a review zine for zine readers by zine writers (and readers). It is a hybrid of review zine and personal zine (the ancestor to many blogs). The paper version has been around since 1999. This blog thing is are attempt to bridge the gap between Web 2.0 and Paper 1.0. Print is not dead, but it is becoming more pixelated.